I had a dream the other night that Amy Chua wrote a bestselling book on how to sell. Amy Chua did write a book recently and maybe you’ve heard about it. It’s called Battle Hymn of the Tiger Mother. It’s her account of her approach to raising two daughters. 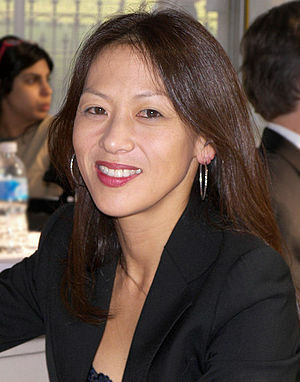 The summary description of her approach is it was uniquely penal which she attributes partly to her Chinese heritage and upbringing. Every time she’s interviewed she reminds the interviewer how surprised she is at how much attention she’s getting. After all, what’s so weird about denying your daughter food and water when she misses the C# note on the piano? It got me thinking that if Tiger Mom wrote a book on selling what would that book be like? Salespeople – are you fed up with prospects that are noncommittal? Are you tired of hearing ‘send me some literature’? Are you sick of blindly responding to RFPs? Maybe it’s time to show those teeth more – go on, be a Tiger Seller! Don’t take no for an answer! At least not the first five times. You’ll never sell anything if you accept defeat that quickly. Demand access to the right people. Otherwise, you’re wasting your time with stakeholders that have no authority or pull. I’m not being mean to these other stakeholders. They shouldn’t take it so personal. It’s not personal. It’s business. Stop wasting your time responding blindly to RFPs. This isn’t selling at all! You’re being prostituted by buyers who are reducing you to a nothing! Ok, if you have to respond at least charge list price and take the smallest amount of time possible in preparing the proposal. Bring humor into your selling. Laugh as hard as you can when purchasing tells you to lower your price by 10%. If you have samples charge for them. Every time you give away these samples there’s no value attached to them. If your prospects are really interested they’ll spend a little money showing you! If a prospect wants a demo refuse to send the demo team unless the key stakeholders commit to be present. And then make them tell you what they’re prepared to commit to following the demo. Stop demoing to the wrong people! I wouldn’t want to meet this Tiger Mom in a dark alley.